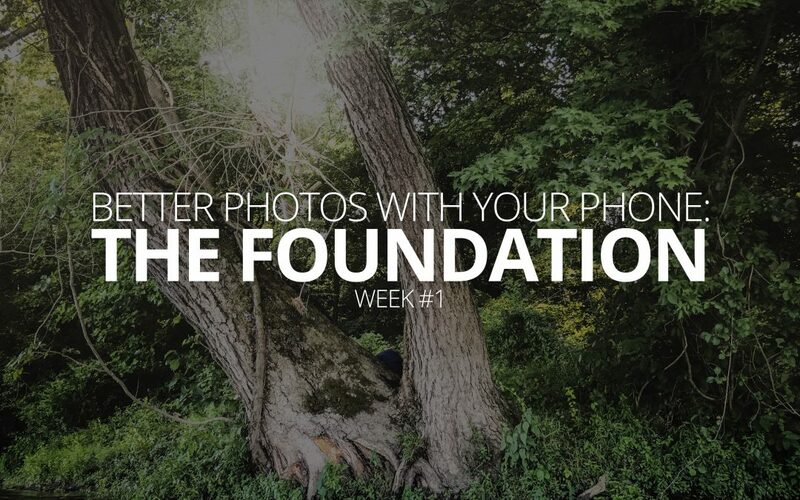 Welcome to week one of our blog series aimed at helping you make the most of the camera you already carry with you everywhere you go. If you missed our article last week introducing this series, take a moment and check it out. This series was inspired by a mildly caustic article we shared a few weeks ago, Don’t Buy a Camera, where I tried to save you some money on something you weren’t likely to use anyway. Well, here we are in week one of our, possibly, never-ending semi-monthly series. This series will be light on ‘technical aspects’ of photography (yes, even smart phone photography has technical aspects) but there are some things we should discuss before we get to anything really ‘actionable’. I don’t want to just start spitting how-to advice at you that lacks a larger context; I want you to have the option of back tracking through this series and filling in knowledge gaps, if you choose. So, I want to lay some ‘ground rules’ and set some expectations for thinking about and acting on the coming advice. As long as you take this in, and remember it, the tips, tricks, strategies and skills won’t be so frustrating. The fact of the matter is, your not suddenly going to turn into the next Ansel Adams. You’re probably not even going to suddenly turn into that person you so admire on Instagram. You could, but that’s not our goal here. Instead, our goal is to make everyday photography more rewarding and less frustrating. And, if you’re so inclined, give you a realistic and affordable (you already own the equipment) launching point to experience photography as a more serious hobby. As we progress through this series, I’ll do my best to source the knowledge I’m dolling out with more technical learning resources. Lets jump in. This wasn’t always such a complicated question to answer. At one point, photography was prohibitively expensive, brutal and unforgiving. At one time, a ‘snapshot’ may have taken a lifetime to master. The term ‘photographer’ was aptly applied to those people. Things are messier today. Given virtually everyone takes photos, ‘photographer’ and ‘person’ are practically synonyms. Hell, even monkeys have been known to take some photos, now and again. In other words, without some qualifying definition, the term ‘photographer’ is almost meaningless. I think a more useful definition—and the one I’ll be using in this series—is someone who takes pictures purposefully, and who wants to enjoy (or wants others to enjoy) the aesthetic quality of the images they create. By this definition, the chief difference between a ‘photographer’ and a ‘professional photographer’ is simply how seriously they pursue those goal (and yes, whether they get paid to do so). There’s a blurry line here that we won’t attempt to clarify. In fact, unless you fancy yourself an artist, or an enthusiastic and serious appreciator of art, it really doesn’t matter. When I hear people talk about wanting to take better photos, I frequently perceive a certain kind of insecurity. They frequently use qualifying terms—like they really want me to know they don’t think they’re an artist, as if that’s a badge of honor thats difficult to affix. Or, maybe they’re afraid of being labeled a ‘bad artist’. Whatever the case, wanting to take better photos doesn’t mean you’re an artist. It doesn’t mean you want to be an artist. It doesn’t mean you suddenly have to analyze every aspect of a picture you take, and it doesn’t mean every picture you take has to be layered over and over with social or personal meaning. All it really means is that you want to enjoy this thing you do all the time, and want to get more enjoyment from the results. I touched on this in the series introduction. Here’s what is critical you understand: reading this article isn’t going to help your photography any more than an unused camera sitting in a bag in your closet will. Reading every book about photography on Amazon is not going to make you good at taking pictures. That’s just not how this works. There is no way around this—practice is the only path to improving your photography skills. But, the good news is that if you practice with your smart phone, those skills will translate almost seamlessly to every other camera you’ll ever use. Maybe you never move onto more specialized equipment, or maybe you do. Either way, the practice is indispensable. You might want to consider giving yourself a personal challenge which forces you to practice a little every day. “Take at least one photo of your kids every day”, “take at least one photo in the office, every day”, “take at least one photo every time your family goes out together”. It could really be almost anything, but it should be something. And, bonus points if you keep up with this series and make your practice each week reflect the skills we talked about. Practice is the only way to get better at anything, and photography is no exception. Join us next week when we’ll demystify some of the basic, unavoidable photographic ‘technicalities’ I promised we would steer clear of. We’ll try and get those out of the way early so we can move onto more practical information. Is there something you’d like us to cover in this series? Tweet your questions at us, or just leave a comment! We’d also love to see your progress, so don’t be shy! Share and subscribe to join us on this journey!